Deck the Halls with Tape! 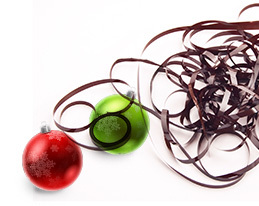 The holidays are a time for presents and surprises, but the Murphy's Law Grinch may bestow upon you something you may not have asked for--the dreaded failed tape recovery. Join us for a special holiday webinar to see how you can radically simplify server backup and archiving to the cloud and dramatically lower your costs. Trusted by 3,000+ enterprises worldwide for data protection and governance. Register and we'll send you a recording of the webinar later.